Senator Christopher Murphy with a portrait of a victim from the Sandy Hook Elementary School shooting during Murphy’s filibuster on Thursday morning. WASHINGTON — A Democratic senator waged a nearly 15-hour filibuster from Wednesday into early Thursday morning, an attempt to force a vote on gun control legislation three days after 49 people were killed at a Florida nightclub in the worst mass shooting in modern U.S. history. 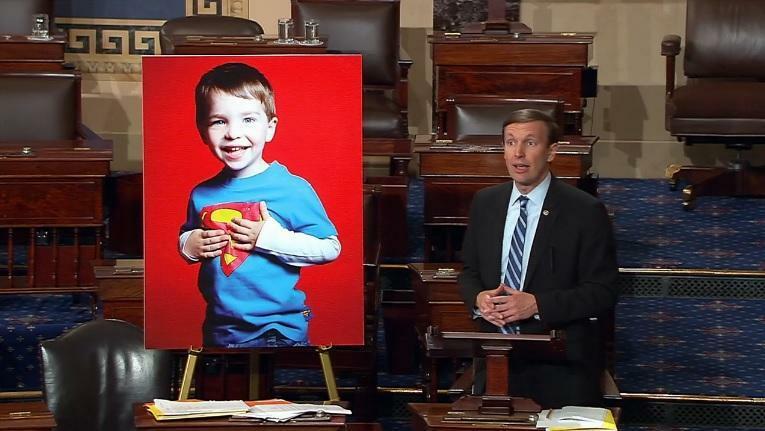 Connecticut Sen. Chris Murphy said he would remain on the Senate floor ‘‘until we get some signal, some sign that we can come together,’’ and evoked the Newtown school shooting in his state in 2012. His plea came as presumptive Republican presidential candidate Donald Trump said he would meet with the National Rifle Association about the terror watch list and gun purchases. ‘‘For those of us that represent Connecticut, the failure of this body to do anything, anything at all in the face of that continued slaughter isn’t just painful to us, it’s unconscionable,’’ Murphy said. 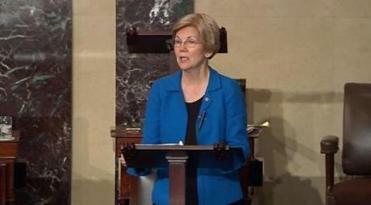 Senator Elizabeth Warren joined in a filibuster started by Senator Chris Murphy to force a vote on gun control after the Orlando shooting. Read: What are the longest US Senate filibusters? Read: So how do you filibuster? ‘‘The NRA to the best of my knowledge has been a major impediment to sound gun control efforts in this country in the nearly 24 years I’ve been here,’’ she told reporters. Murphy began speaking at 11:21 a.m., and spoke for nearly 15 hours. By Senate rules, he had to stand at his desk to maintain control of the floor. When asked by another senator how he was feeling just before 7:30 p.m., Murphy said rehabilitation from a back injury in his 20s had helped him build up endurance.